Can someone help me with an ID mismatch error? Log section below. I can give the whole log if it's needed, but this particular instance is one I'm (trying to) loading up with a ridiculous amount of mods, so it's getting kinda long. I'm using MultiMC, and I'm sort of new at editing the configs -- until recently if there was a conflict I just did without one of the mods. Still, I've managed to make several crash-causing conflicts work so far. This is different sort of error, if I understand correctly? I'm not sure how to go about fixing it; when I open FancyFences.cfg the only IDs I see are the "optional wooden" and "optional obsidian" ones. It's quite simple, yet slightly quirky: Fancy Fences uses the same ID as the vanilla fences, replacing them, but the game still registers the vanilla fences, thinking the two are mismatched. You can just ignore it. I wondered if it might be something like that, but I was worried I'd screw up something irreparably down the line. Thanks! Found a bit of a bug, which I've reported on the MCPC+ github. 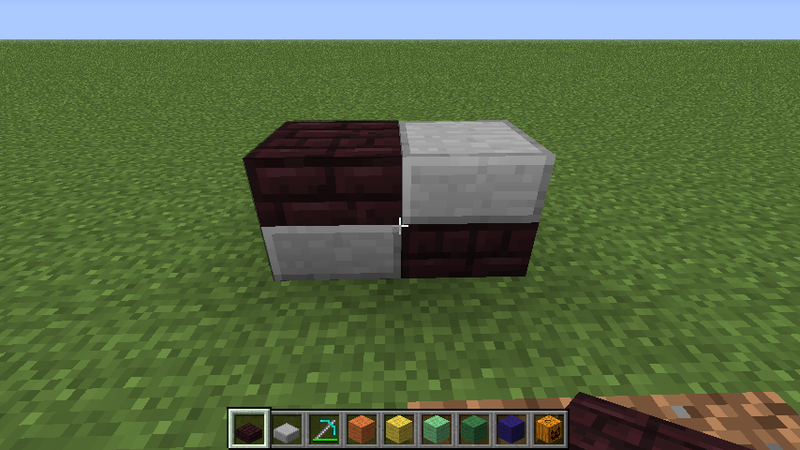 I was wondering if you could add the ability to "mix and match" half slabs. For example, if I want the top half of a block to be wood, for a floor, and the bottom be cobble, for a ceiling, I could do that in the space of one block, using half slabs, as this is not currently possible. 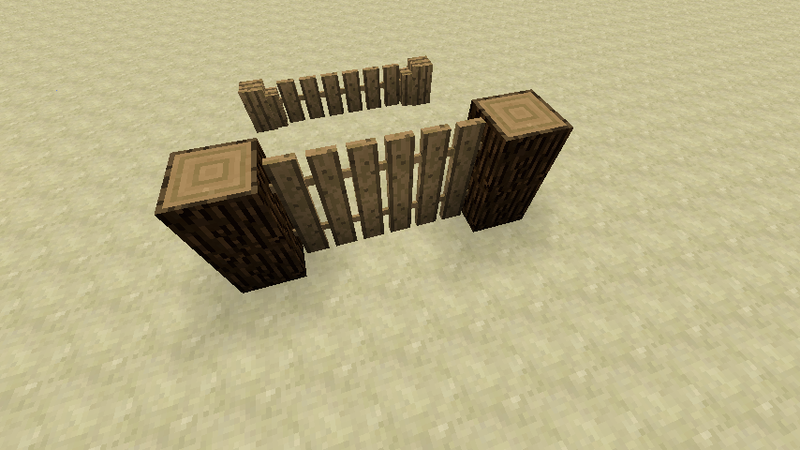 I just thought the concept kinda fit with better fences. That would be awesome. I've been wanting that for a while too. Also the link is broken, click the one below. I will fix this soon. The Useful Storage mod is basically MC 1.6 without horses, hardened clay, name tags, and leads. If you had, say, more storage utilities, such as a larger chest, or something of the like, I would download this, but it is basically MC 1.6. I like these, though! That wold be awesome. I've been wanting that for a while too. is this magic? or is that the new forge multipart thing? "why didn't i do that? because that would make sense." No microblocks involved here - just regular ol' slabs. Hi, do you plan on updating your other mods when you finish the new ones? Will the rotation key mod be updated to Minecraft 1.5.2? Will you update for 1.6? I tried installing it for 1.6.2, and it worked fine, but the torch texture, the fence, the nether brick fence and the iron bars all have a pink and black look. It's funny because most of this is in regular minecraft now. Get a bit better in the forum! Most, but not all. So it's still good. I am trying to put together a modpack, including the Metal Rods mod, but I'm having some issues. I'm trying to get all the mod axes to work with Treecapitator. But when I got to adding in the Metal Rods axes, I hit a snag. None of the item IDs in the Forge config file for Metal Rods matches what I'm seeing in my game. But since it seems like the config file includes all elements of the mod, I think the problem is in game. In my game, I can only see tools and weapons made with iron, gold, or diamonds. And I cannot find or make the new bows that the mod adds in. Spruce wood fence? Great! 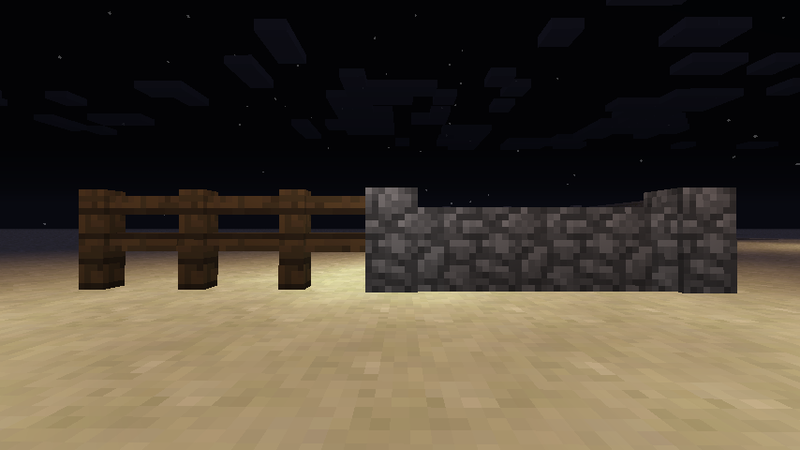 I love it when the different types of wood are used for variations of wood-based blocks ^w^ The connection being only fence instead of that weird half-fence/half-wall looks sweet too.